MWANZA PRINCIPLES: What rules can we establish for droneports in the Global South? Last October, AERIAL FUTURES joined forces with the Lake Victoria Challenge (LVC) and held a think tank about droneport infrastructure. Along with a group of international and interdisciplinary experts, we discussed the requirements and possibilities that this new building type might have and how it would best serve the context of Lake Victoria. We recently caught up with three think tank participants to discuss scalable droneport typology principles for the Global South. Jonathan Ledgard is an AERIAL FUTURES Board Member and the Director of Rossums, a studio that aims to identify technology opportunities for poorer communities. 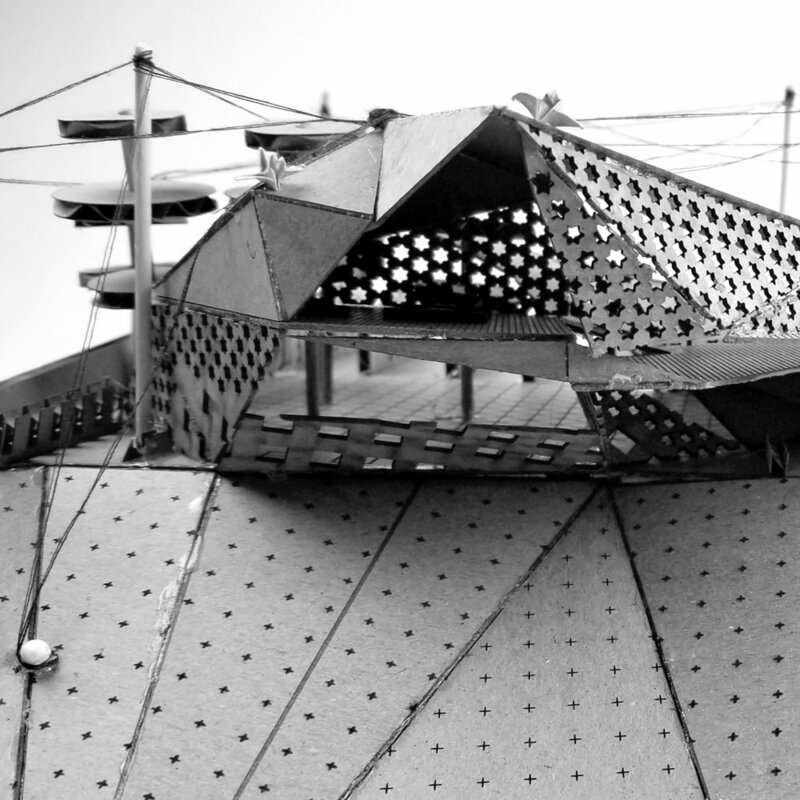 In 2016 he presented the first iteration of a droneport, with Norman Foster, during the Venice Biennial. Keith Kasemanand Jonathan Dessi-Olive, are faculty members at Georgia Tech School of Architecture. 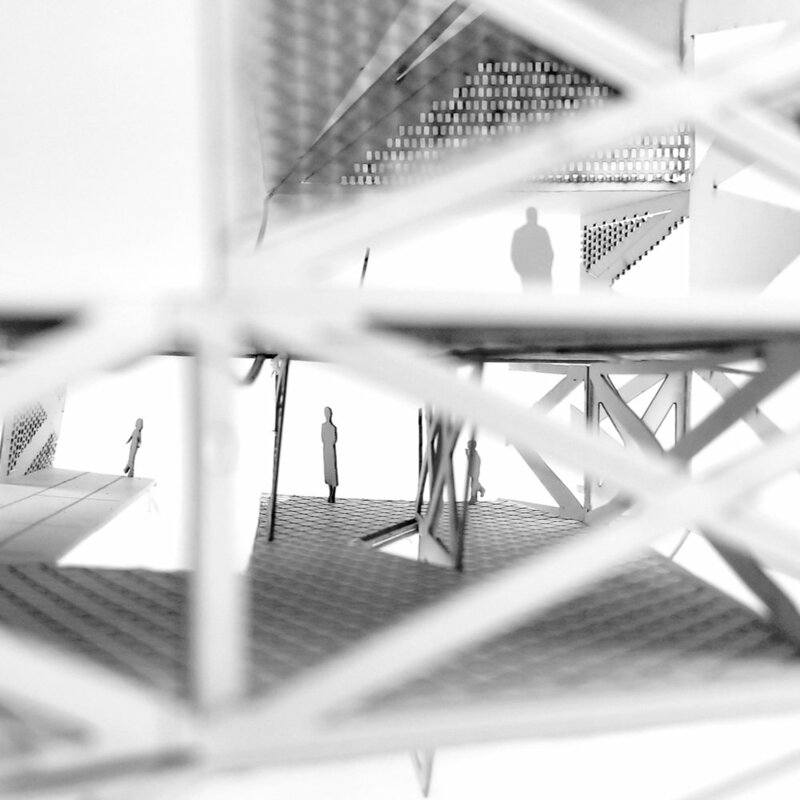 Building upon the momentum from the LVC, they launched STUDIO TZ: DRONEPORTS (MWANZA RULES), a sophomore design studio aiming to cultivate a matrix of architectural projects in diverse site conditions throughout the Mwanza region, as part of a larger research initiative within the school. One key goal for STUDIO TZ is to package the best work that comes out of this studio into an exhibition for the Lake Victoria Challenge 2019, and in doing so, provide an expanded map of architectural ideas to spark the imagination. AER: Our Think Tank at the LVC concluded with a set of principles about what a droneport should do, beyond facilitating drone traffic. What are they? JL: Droneports must serve a civic function, featuring a diverse program that includes secure drone operations and sheltered space for communities to gather freely and comfortably during non-flight hours. Additionally, it’s fundamental that women must play a central role in the development and operation of drones as social enterprises. A droneport must be an iconic destination, a place that is safely integrated into its urban context and transport routes, not simply an object or individual building. Above all, a new droneport typology for the Global South must allow the local community to reap most of the economic benefits of the droneport. The design shouldn’t be dictated by the profit demands of technology companies and their investors. AER: Keith, upon returning back to Georgia Tech, how did you translate the Mwanza Principles into a curriculum for STUDIO TZ? KK: We have four studio sections comprised of 40 students in total, all of whom are approaching the topic of droneports differently. We spent the first three weeks doing a site analysis, asking students to observe and cultivate a number of sites, varying land features and levels of remoteness, adjacent or central to cities. The point of this exercise was to identify a site as a terrainand to articulate interfaces between the ground and the air. After three weeks, we moved into the droneport configuration study. This was site-less, and considered spatial configurations for the droneport. Now we are beginning to apply those configurations to actual sites. AER: Jonathan, a fundamental component of the Mwanza Principles is the idea that the droneport is not just a droneport, how have your students been addressing this? JL: Jonathan Dessi-Olive raises a great point, which has come up again and again: the enormous civic quality of the droneport. It’s clear that the VTOL (vertical take-off and landing) designs are advancing quickly. Many of the companies I’ve been talking to are pivoting most of their business development into Africa, and pushing for 20-30 kilo payloads on the VTOL air frames. This would, of course, allow a broad range of design possibilities for the building and its public functions. AER: Keith and Jonathan, what are some initial findings that you’ve observed with the students and their design process? KK: We’re really pushing the students to become more precise about the relationship between the digital fabrication component and the hanger, or place to park the drones. I think this is the real nugget of spatial innovation that will most likely drive the scenarios. JDO: One of the most important aspects of the Mwanza Principles was that a droneport is neither a building nor an object; it is a place. We’re taking this idea of place very seriously, getting students to be very specific about their imagining of these places and what they can be. This includes items such as the inner workings of the droneport and the kinds of relationships that would actually occur on a daily basis. AER: How are American students at Georgia Tech responding to a very specific African context that somewhat unfamiliar to them? KK: We’ve been encouraging students to embrace looser, more informal and diverse ways of how to build. I think there are a lot of projects that are poised to take that on in terms of material and attitude. Luckily our studio faces midtown Atlanta, so we can easily point out the window and remind the students that what they are proposing is not going to happen, “right over there”. It will be happening in a very diverse kind of fabric. I think we are going to see some hybridized approaches between low and high tech. JL: One of the most important and exciting parts of this studio is the amorphous quality of the droneport that will serve multiple economic and social functions. All good student work I’ve seen coming out of universities around the world is responding to this fact, acknowledging that there are various elements such medical, agricultural or commercial delivery to it. This gives me a positive feeling that we are slowly defining some rules that can really influence the development of this infrastructure before it happens. JDO: I most definitely echo what Jonathan says. The idea of this multiplicity of ideas, in which different kinds of uses come together, is really exciting for me. KK: What I see happening is a catalog of seeds of ideas that are intriguing or that can generate excitement, enabling those types of systems to be explored later.